What a brand stands for and what hides behind a pleasant company philosophy is also determined in the brand. How is a company defined and what does it specialize in? What are the values ​​of the brand that it represents? And what is its unique value? These fundamental and topical issues are on the agenda of the brand development and continue to evolve within the company. On the visual side, branding involves much more than a trendy outward appearance, which is adjusted from time to time. Visual Identity is the high-profile figurehead made up of countless small parts and should be reconsidered in any major restructuring. In common sense, the visual identity of a company includes everything that is perceived affectively by a company. This includes e.g. a certain 'dress code', which does not always catch the eye immediately, or the individual design of the offices, which matches with the corporate culture, wherefore we at Upscale Spaces are experts in. Apple and Nike have recently created eye-catching visual statements with their new futuristic HQ complexes architecturally embodying their brand identities. 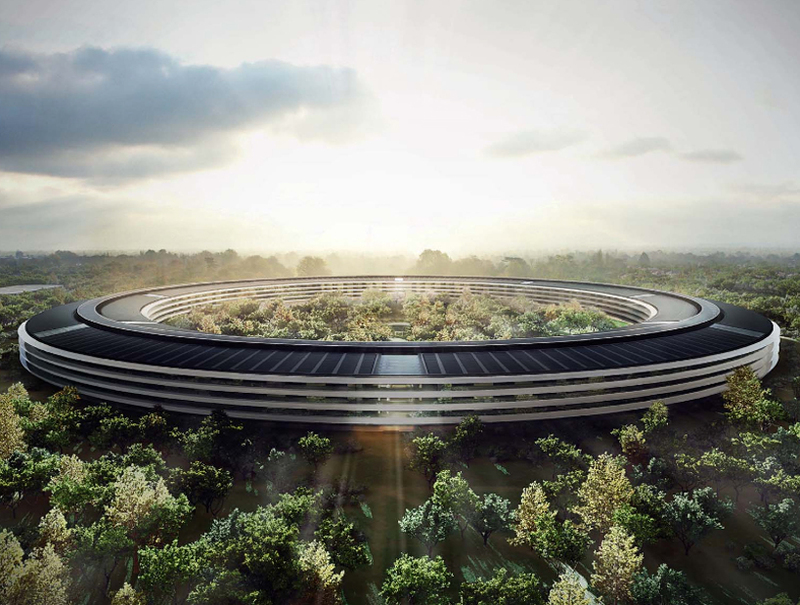 The five billion dollar Apple Park in Silicon Valley, designed by the prestigious London architectural firm Foster + Partner, is one of the most energy-efficient building complexes in the world, setting new standards in sustainability and design. The circular design fits in perfectly with Apple's image, which combines high-quality design with the latest technologies in its products. 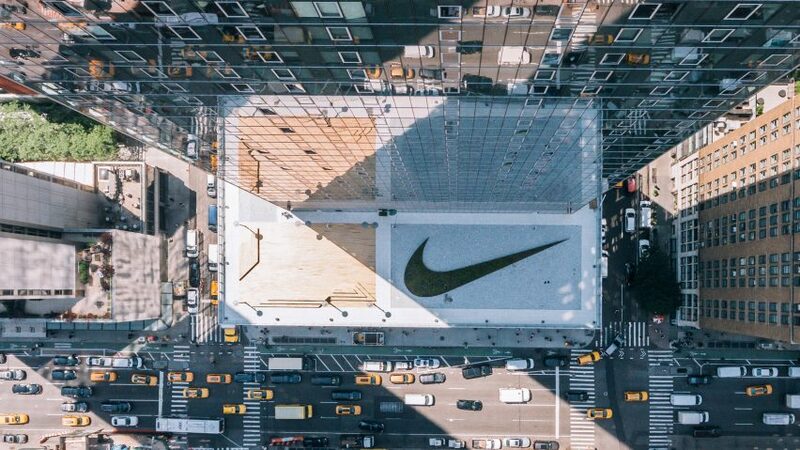 Nike scores points with the New York headquarters in New York with an indoor basketball court and plenty of room for creative exchange. 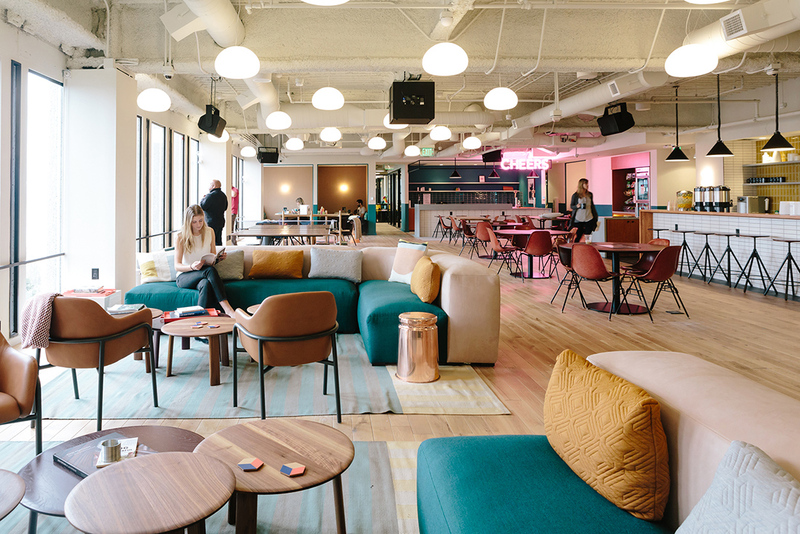 With the new headquarters, the sports brand is taking on the idea of ​​the community, which is lived out in many sports and tailor-made by Nike. The brand identity of Nike communicates through its architecture thanks to this location. Every visual identity basically returns to a logo. Visually speaking, the logo is the tip of the iceberg. It is the visible part of a fire, but what lies beneath it is the much larger part. Logos are either graphic or typographic, based on a font as a so-called word mark, created and summarized as essence of a company and its values ​​together. A good logo is simple, stays in the memory for a long time and communicates the values ​​and characteristics that a company stands for. Of course, a logo can not even embody the complete complex philosophy of the company, but in the best case summarizes it in its essence and brings it to the point. Especially with startups, it is important to put time and creativity into the design process of the logo, despite the fast pace, as Page finds out from selected examples. We at Upscale Spaces have chosen our logo for a mix of typography and graphics, which makes our logo distinctive and perfectly embodies our brand identity. Upscale Spaces stands for innovative living of tomorrow, we live the community thought and want to create environments that make you happy. Which target group does the logo appeal to, what should be conveyed and planned in particular, what should the message be were the main questions that we asked ourselves in the branding process. When designing a logo, graphic designers face the complex task of delivering innovative ideas that are well thought out while maintaining the focus and attention to subtleties and details. In the best case, a logo, whether graphically or typographically oriented, has a high recognition value and does not immediately disappear in the endless logo sea, the alphabet of the city. 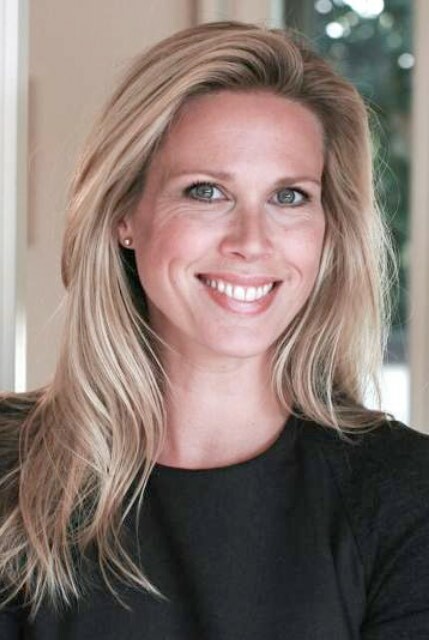 Prior to the founding of Upscale, we worked together for years to observe the pain points for interior designers and came to the conclusion, that this way of working is very complex. 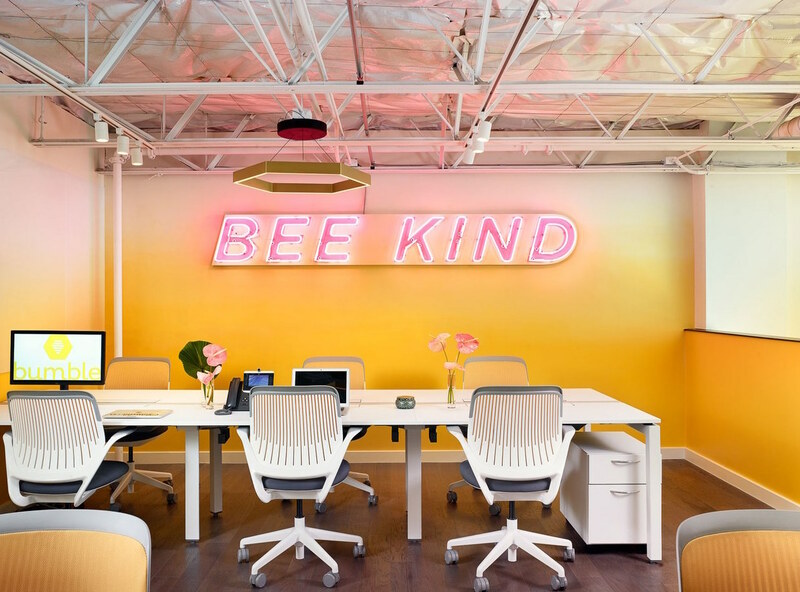 Together with our team, we want to help other interior designers with our digital solutions and our platform to master the time-consuming tasks and to unfold their creativity with fun. We want to support them when creating mood boards, when trading with furniture brands, with logistics solutions, or efficient bookkeeping. In the USA, there are already very established and profitable players. For the European expansion and integration of the technical know-how, the acquisition of the 99chairs assets fit perfectly and we look forward to this expansion. " Upscale has three sub-brands: Upscale Spaces for Office and B2B Projects, Upscale Interiors for Residential Customers and Upscale Escapes for Vacation Properties and Hospitality Projects.